백제 때 사리를 보관하는 용기로, 능산리 절터의 중앙부에 자리한 목탑 자리 아래에서 발견되었다. 출토 당시 이미 사리감이 훼손된 상태로 사리 용기는 없었다. 사리감은 위쪽은 원형, 아래쪽은 판판한 터널형으로 높이 74㎝, 가로·세로 50㎝이다. 감실 내부의 크기는 높이 45㎝ 정도로 파내었으며, 내부에 사리 장치를 놓고 문을 설치했던 것으로 추정되는 턱이 마련되어 있다. 감실의 좌·우 양 쪽에 각각 중국 남북조 시대의 서체인 예서(隸書)풍의 글자가 10자씩 새겨져 있다. 명문(銘文)에 의하면 성왕(聖王)의 아들로 554년 왕위에 오른 창왕(昌王)[위덕왕(威德王)]에 의해 567년 만들어 졌으며, 성왕(聖王)의 따님이자 창왕(昌王)의 여자 형제인 공주가 사리를 공양하였다는 내용으로 파악된다. 이 사리감은 백제 역사 연구에 새로운 금석문 자료로서 백제와 중국과의 문화교류의 일면을 파악할 수 있는 자료이다. 또한 사리를 봉안한 연대와 공양자가 분명하고, 백제 절터로서는 절의 창건연대가 당시의 유물에 의해 최초로 밝혀진 작품으로서 그 중요성이 크다. This is a pottery for Buddha's reliquary. It is 74cm high, 50cm wide, and 45cm deep. 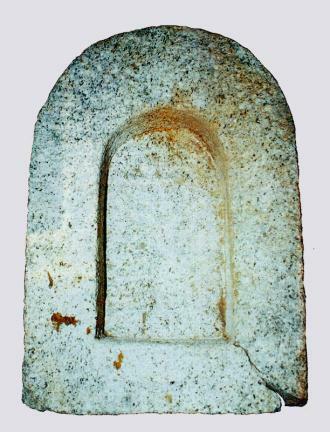 This artifact was excavated at the Neungsan-ri Temple Site underneath the wooden-tower area. 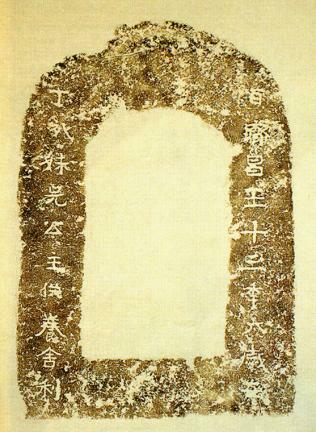 It was used for holding Buddha's Sarira, a reliquary. During the excavation, this artifact was demolished, so there is no sarira inside of it. 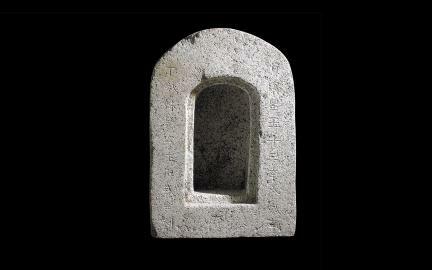 The sarira reliquary has a half cylinder shaped roof and a flat base. Inside is tunnel shaped. It is recognized to have a safety system and a door. On each side of the pottery, there is 10-character passage explaining its origin. The sister of King Wideok, the twenty-seventh king of the Baekje Dynasty, developed it. 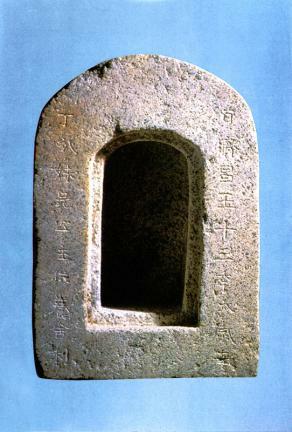 This artifact became very important for researching Baekje Dynasty's cultural history. Its precise description of the origin and potter helped explain other excavations from the site.